“I was weak and scared,” said Detroit native Tony Johnson, who had to be rushed to the hospital early Friday morning. Johnson says two people visiting his nephew were taken to the hospital after they felt weak inside the home. Once the two people got to the hospital, doctors figured out they had carbon monoxide poising. DETROIT (WXYZ) — “I was weak and scared,” said Detroit native Tony Johnson, who had to be rushed to the hospital early Friday morning. Johnson says two people visiting his nephew were taken to the hospital after they felt weak inside the home. Once the two people got to the hospital, doctors figured out they had carbon monoxide poising. Prompting fire fighters to go back to the home in the 75 hundred block of Forrer on Detroit’s west side to get Johnson and his brother out of the home. “By the time I got to the EMS I just sat there they put the oxygen on me and I passed out and next thing I knew I was at Detroit General,” said Johnson. His brother Jessie Johnson who owns the home but was not inside at the time tells 7 Action News a broken furnace is to blame. “The carbon monoxide vacuum burnt out, and it let the carbon monoxide come up in the home,” said Jessie Johnson. Fire fighters with the Detroit Fire Department knew something was seriously wrong inside this house when they used a carbon monoxide reader. A anything above nine parts per million will set it off. The house had 400 parts per million of carbon monoxide. 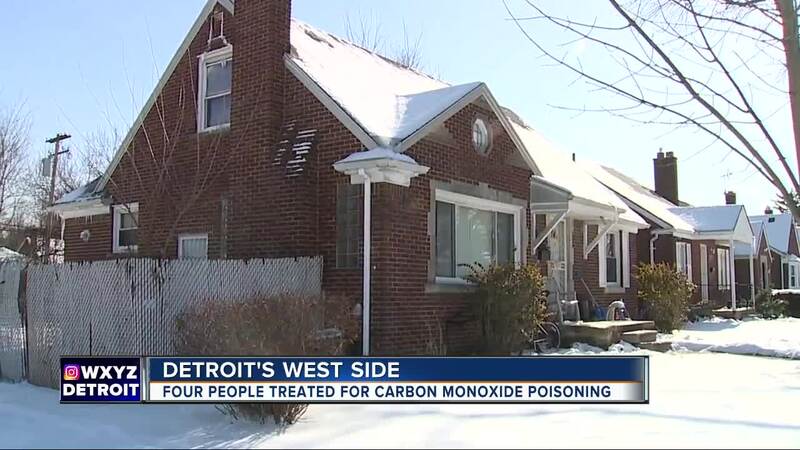 “Nauseousness, vomiting, breathlessness, fatigue those are signs and symptoms of carbon monoxide poisoning,” said Chief Christopher Dixon with Detroit Fire Department Prevention. Chief Dixon says if you think you have carbon monoxide poisoning to leave the area you believe it’s in immediately and call 911 for help. The Johnson brothers are grateful for those fire fighters. “I thank them, appreciate that they realized that there was other people in the house when they picked them two up because I was asleep at the time, and without them I wouldn’t be here,” said Tony Johnson. “I’m grateful to god for saving my brothers,” said Jessie Johnson. The home did not have a carbon monoxide detectors inside, and carbon monoxide does not have a smell or color. Chief Dixon is urging people to buy and install detectors.